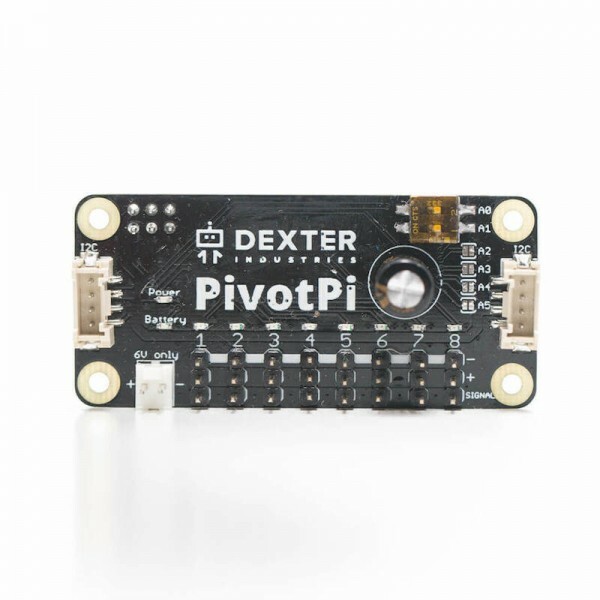 Produktinformationen "Dexter Industries PivotPi Board"
The PivotPi is a complete kit to turn anything in your world into a moving robot. The PivotPi is a servo controller for the Raspberry Pi. It can control up to 8 servos, allowing you to make projects that move, grab, dance, swing, wave, and many other motions. You can use the PivotPi to create robots, automate your home, make moving sculptures, and craft animatronics built with the Raspberry Pi. The PivotPi can be programmed using Python, Scratch, and many other programming languages. Weiterführende Links zu "Dexter Industries PivotPi Board"
Garantie(Jahre) "Dexter Industries PivotPi Board"
Videos "Dexter Industries PivotPi Board"
System Anforderung "Dexter Industries PivotPi Board"
Weitere Info "Dexter Industries PivotPi Board"
Kundenbewertungen für "Dexter Industries PivotPi Board"